This coach was built for use on the LSWR's main line from Waterloo, as part of a four-coach set. The enormous luggage van, occupying half the coach, was duplicated at the other end of the set, a reminder of the enormous quantity of luggage carried by holidaying passengers in the early years of the 20th century. It was formed into Set 63, along with identical brake third No.1519, 1st/3rd composite No. 388 and 2nd/3rd composite No. 385 (which was later reclassified to all 3rd at some stage between 1916 and 1920, with the general abolition of 2nd class). The set became 146 under the Southern Railway, but not before the original 1519 had been destoyed in an accident at Vauxhall (29 August 1912) and replaced by a replica of itself. This set, with lavatories in all coaches (but only accessible from about half of the compartments) would have been employed on express services from London to Portsmouth, Bournemouth, Weymouth and North Devon, and very often was to be found with an extra luggage van attached, notwithstanding the great luggage capacity which already occupied a quarter of the length of the set. With the introduction of more corridor stock to the main-line services, these sets gravitated to secondary lines, and eventually became known as "cross-country sets". On withdrawal it was partially stripped internally for departmental service, as a railway ambulance van, first at Feltham Marshalling yard and later at Hither Green. In this form it was, in reality, a mobile first-aid post, although it was converted to carry stretchers, losing most of its original interior. 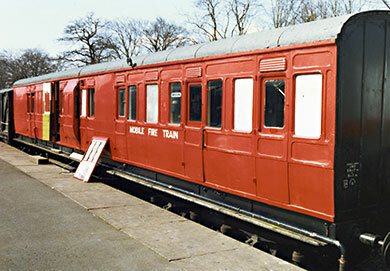 In 1969 it became surplus to requirements, and in 1970 became a mobile tool van and workshop for the Merchant Navy Preservation Society's "Clan Line". It was sold to the Bluebell in 1977. 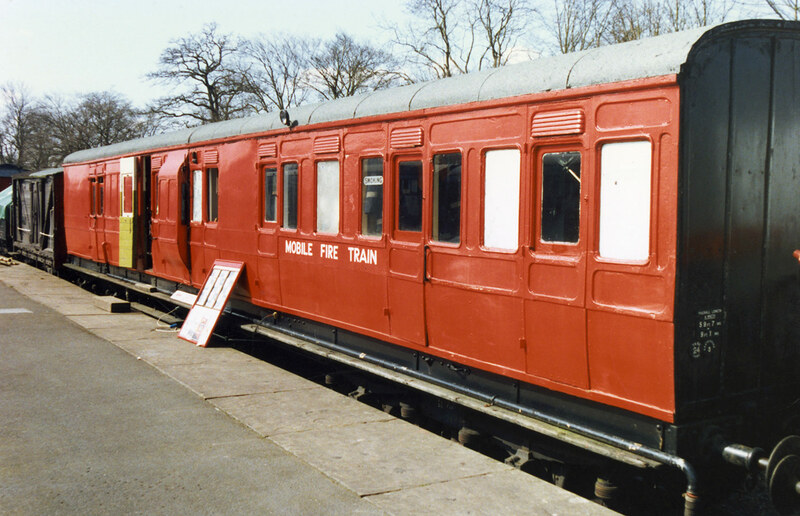 On the Bluebell it was, until 1995, used as the headquarters of our mobile fire train, complete with a Coventry Climax fire-pump in the van area. There are still a few original seats and compartment walls within the body, which is amazing given its history. 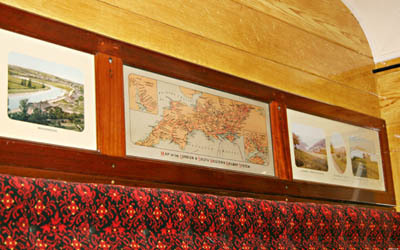 Its restoration to traffic took 15 years, involving the replacement of substantial sections of structural oak, as well as a complete reconstruction of the interior, which has included seating trimmed in a reproduction of an appropriate late LSWR/early SR moquette, and reproductions of original "PhotoChrom" prints, contemporary with the carriage, which were originally produced both as postcards and as "views" for LSWR carriage viewframes (as seen in Dave Clarke's photo on the right). It is now restored to its original ornately lined "salmon and brown" livery. 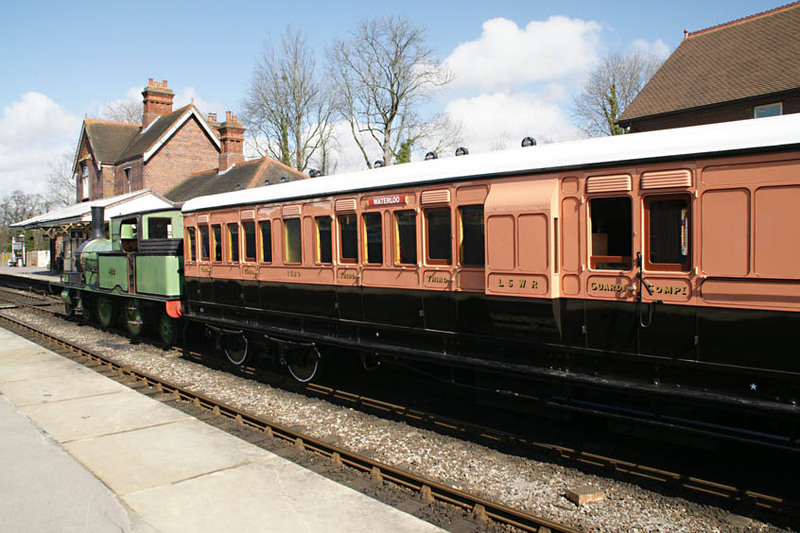 The following web pages provide details of the restoration work: the initial web page for the coach's restoration, and the page for the later restoration reports. 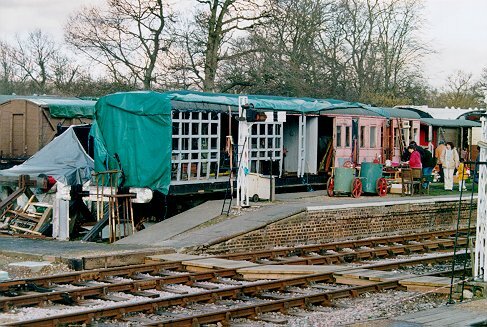 Right: The rebuilt brake-van end framework, prior to replacement of the guard's ducket in early 2000. For many years the restoration work on this coach was carried out without the benefit of overhead cover; it was only with the extension of the carriage works that No.1520 could enter the workshops, a few years later. 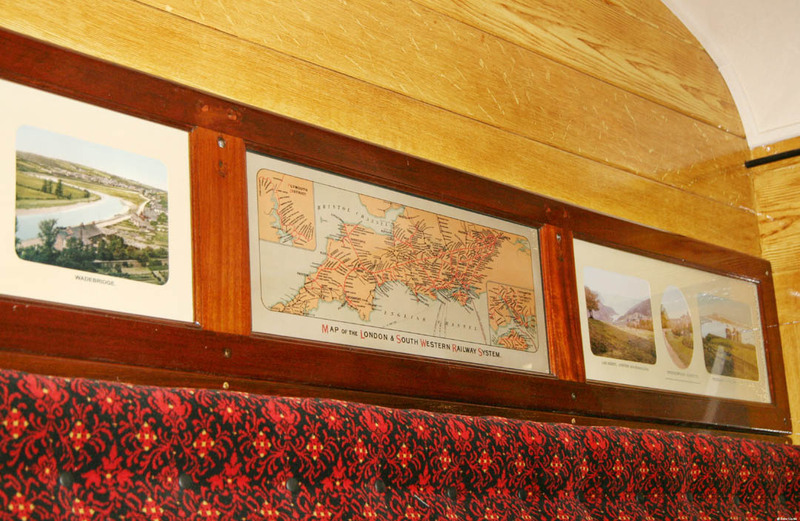 Go to the initial web page for the coach's restoration, or the page for the later restoration reports.